Common health fads such as avocados and almond milk do more harm than good. As health trends become more and more popular, people often forget the consequences behind the production of these "healthy" foods. For years, social media and other platforms have been glamorizing certain foods labeled as healthy, but have been ignoring the worsening negative effects that these fads have on the environment. These foods are being grown, shipped and bought year-round despite not being in season. The mass production due to growing consumption rates is causing a depletion on ecosystems all over the world. Almond milk has become the most sought after milk alternative but, despite its health benefits, has actually had a hefty impact on the environment. Each plant requires five liters of water to grow, resulting in 100 liters of water needed to produce only 100 milliliters of almond milk. Although facing a severe drought, California produces over 80 percent of the world’s almonds. The high demand for water has left farmers to drill wells, which can affect irrigation canals, bridges and roads and also trigger earthquakes. As of late, avocados have become a watchword for healthy living throughout the media and have become one of the largest trends in the food industry. Due to such high demand, avocado production has tripled and led to around 1,700 acres of land cut down a year, according to the Telegraph. Although naturally grown in a tropical environment and requiring 72 gallons of water per pound of avocado, over 80 percent of avocados are grown and exported in California. 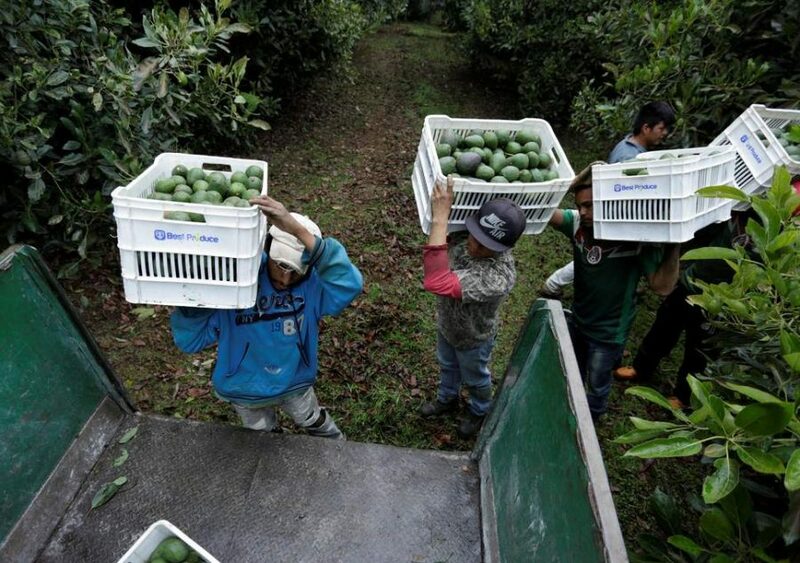 Another issue with avocado production is the use of chemicals needed to meet the high production demands and the large volumes of wood needed to pack and ship the fruit. Coffee is arguably the most popular breakfast drink in the nation. According to the Guardian, it is the world’s second most traded commodity after oil, and as a result, coffee franchises and chains have experienced a massive amount of success over the last several decades. However, the industry’s growing popularity has also negatively impacted its output, especially towards the environment. In fact, the largest effect growing coffee has on the environment is rooted in the production of the beans itself. In response to increasing market demand, traditional agricultural methods have long been replaced with a process known as “sun cultivation.” The origins of sun-grown coffee date back to the 1970s, when the commodity first started being produced on plantations rather than forested canopies. But, because this practice also requires the use of fertilizer, sun cultivation has proven to be extremely damaging to the biodiversity of these environments. For years now, the media has been marketing foods to western consumers as “superfoods”, one of them being quinoa. But what these marketers are not acknowledging is that these high levels of production are causing an unrealistic rise in prices for the citizens in Bolivia, where most quinoa crops stand. Many quinoa farmers in Bolivia have quit their jobs due to the low pay. Although the industry is thriving, the farmers are not being sufficiently compensated. In the last three years, Bolivian citizens have been forced to change their eating habits because of the now costly prices of quinoa. The grain has become unaffordable to all except tourists, diplomats and Bolivian elite, according to Independent UK. Despite the health benefits, these foods are being produced at unrealistic rates that ecosystems and the environment cannot bear to withstand. Instead of popularizing the foods, the media should be making consumers aware of the ramifications of the production of their favorite foods. Vegetables and crops are seasonal and should not be sold all year round, let alone at the rate they are being sold. With such high stakes, the media should be spreading greater awareness on these issues instead of worsening the conditions.